After an eight-year hiatus, Home of Metal will once again shine a light on the global phenomenon of Heavy Metal with a series of blockbuster exhibitions devoted to the music that was born in and around Birmingham. Music that turned up the volume, down-tuned the guitars, and introduced a whole new meaning to the word ‘heavy’. From May to September 2019, exhibitions at Birmingham Museum & Art Gallery, The New Art Gallery Walsall, MAC (Midlands Art Centre) Eastside Projects, and Centrala, will join the dots between music, social history, visual art and fan cultures to produce a new perspective on metal. One that is celebratory, eschews notions of high/low culture, and joins audiences and performers together. The flagship exhibition, Home of Metal: Black Sabbath – 50 Years, at Birmingham Museum & Art Gallery from 22 June until 29 September, will capture Black Sabbath from the perspective of their fans, to show the impact and cultural legacy of the band as pioneers of Heavy Metal, and to celebrate this unique, significant part of British music heritage. This show is being delivered in partnership with Birmingham Museums Trust. 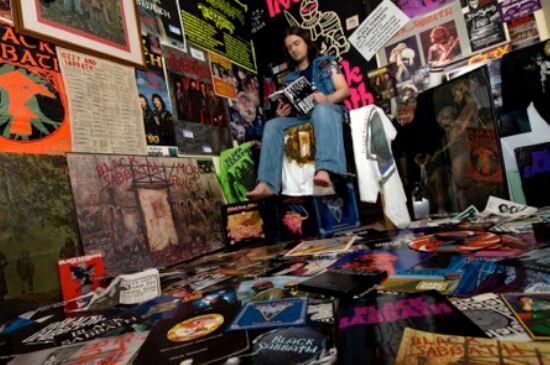 Memorabilia, collections and personal stories will demonstrate the extraordinary scale and diversity of Black Sabbath’s international fan-base together with a vast photography collection of over 3,000 portraits of fans from across the globe. Home of Metal is conceived and produced by Capsule, under the leadership of its founder and artistic director, Lisa Meyer. In collaboration with Capsule, Morag Myerscough and Luke Morgan, one of the UK’s most acclaimed designers, will design Home of Metal: Black Sabbath – 50 Years for the Gas Hall in Birmingham Museum & Art Gallery, the largest exhibition space in a museum or gallery, outside of London.